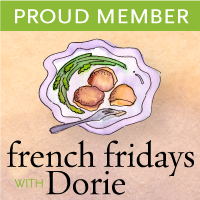 Welcome to week two of French Fridays with Dorie! Dorie selected Gerard's Mustard Tart for us to tackle this week. I would have never tried this recipe on my own. I don't have anything against tarts, mustard, or Gerard for that matter, it's just not the type of recipe that would catch my attention. The opportunity to try new things, push ourselves out of our culinary comfort zones is one of the great things about being part of a group like FFWD. 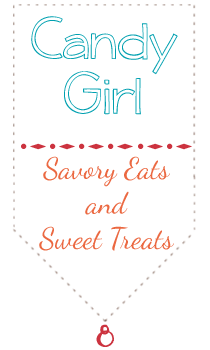 While meandering down this blogging path I have experienced disapointment and frustration but more often find new things to love and growth in my cooking abilities. This recipe provided both a new dish to love and an expansion of my skills. Not to long ago, the idea of making a crust from scratch would have seem overwhelming and unnecessary. These days, I not only make pie crust, pate sablee, and pate brisee with confidence, I actually enjoy it! The tart starts by making a pate brisee. The dough comes together quickly, but is quite crumbly and requires a little manhandling to get it to form into a disc. After a rest in the fridge, rolling, and partially baking, the crust is filled with a quiche-like mixture of eggs, cream and mustard. I used both the dijon and coarse mustards called for and initially thought the mustard flavor was too strong - more on that later. Slender batons of carrot and leeks are steamed with rosemary till tender and and carefully placed in the tart so that they resemble a flower when the tart is done. After a quick bake, the tart comes out of the oven golden brown and filling the house with the scent of rosemary. I wasn't sure I liked this at first bite as the mustard flavor is quite strong. The second bite was better and I found myself quickly getting to the delicious crust. Day two, I found this to be absolutely fantastic! The crust is the perfect flaky vehicle for the custard and tender vegetables and was my favorite part of the dish. The mustard gives the tart a depth of flavor and will have people scratching their heads trying to figure out what it is. My co-workers gobbled this up and found it to be as delicious and intriguing as I did. Like I said before, I would not have made this recipe if I weren't in this group. I am so glad to be participating in such an exciting project! We are asked not to post recipes on our blog to encourage readers to purchase the book themselves. Dorie's books are truly works of art and are fun to browse through dreaming of each dish as you read her beautiful stories. You can purchase the book here. I had the same tasting experience as you. Not sure at first, but it grew on me, especially by the second day! Your tart is beautiful! I loved the mustardy flavor, and the looks on peoples' faces as they tried it for the first time. Such fun. I didn't think of saving some for the next day, shared the tart with my neighbours! Sorry, I mistakenly deleted my comment. Add me to the 'never in my life' category too. Its so nice to see everyone doing so well with these too! It makes it so much more fun that these are so doable. Yours are beautiful! Look's just lovely ... nicely photographed too. I love how you captured the tart in slices on that gorgeous cutting board! I loved the tart as well and am excited to try it tomorrow on the second day to see how the flavors meld. Sounds like you're enjoying FFwD as much as I am. Great photo! I am with you...I don't think I would have made this or last weeks recipe if it wasn't our "assignment"...I am having a lot of fun and so far have enjoyed both recipes! Did you eat it cold or re-heat the next day? I have 2 slices left over. I'm hoping mine comes out looking as nice as yours! I'm a little afraid of the carrots! I agree, I would have never tried this recipe, but am glad I did! Your photo is great! Great post - my non-mustard-loving mother loved it! I love your presentation - what a wonderful spread of tart slices! Beautiful! Great job! Your tart looks fabulous! I thought the tart was even better the second day as well. Your tart looks great. I also probably would have never chose to make this tart. I LOVED IT! I made the tomato version. I had the exact same experience, where I thought it was just okay (but weird) the first day, but really excellent the second day. If I make it again, I think I will chill it in the fridge before serving. Nice post!